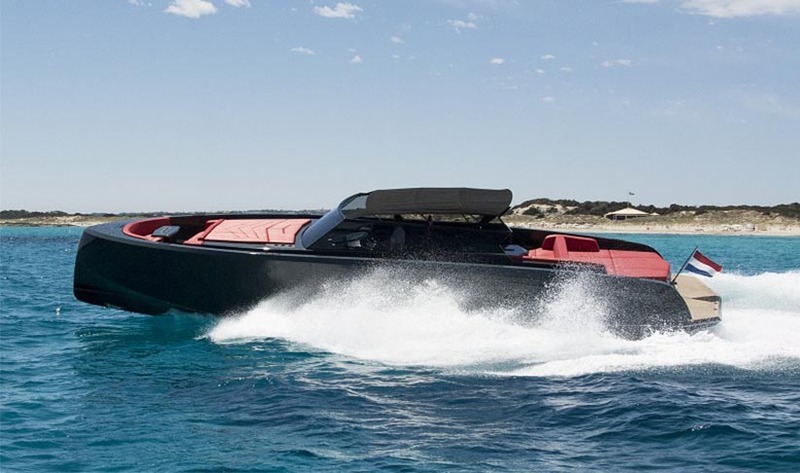 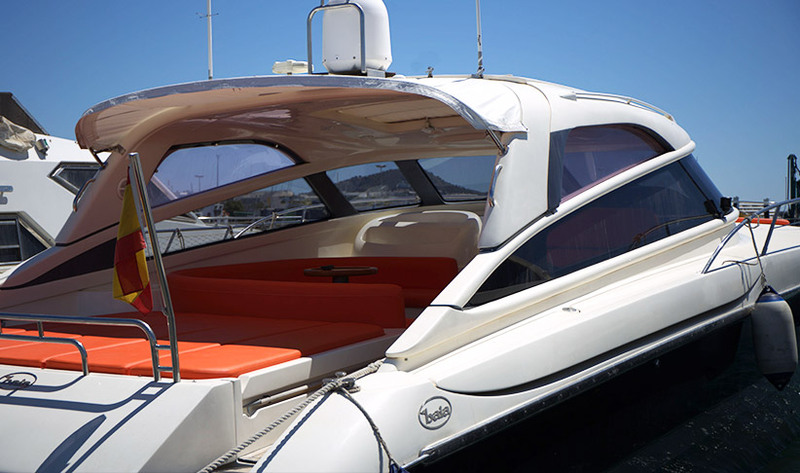 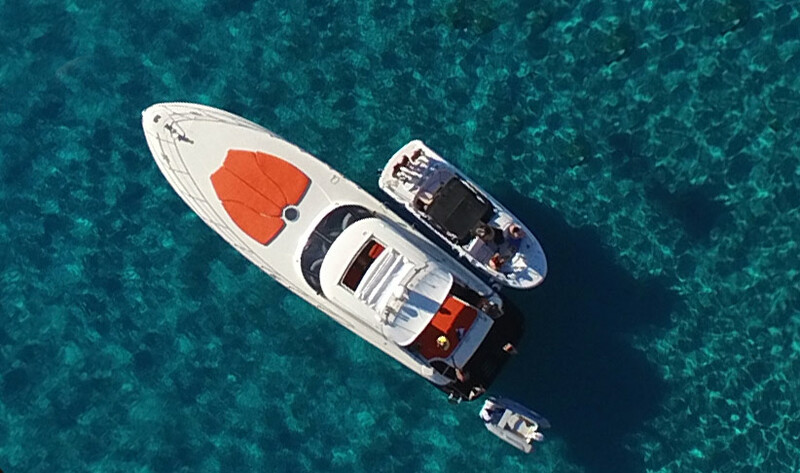 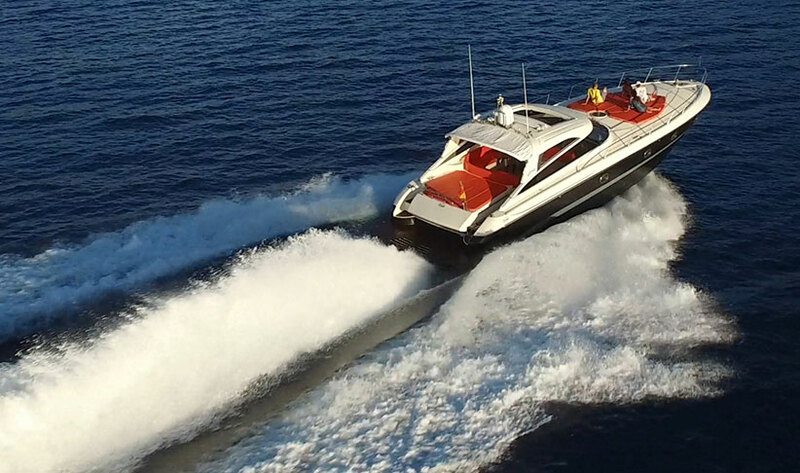 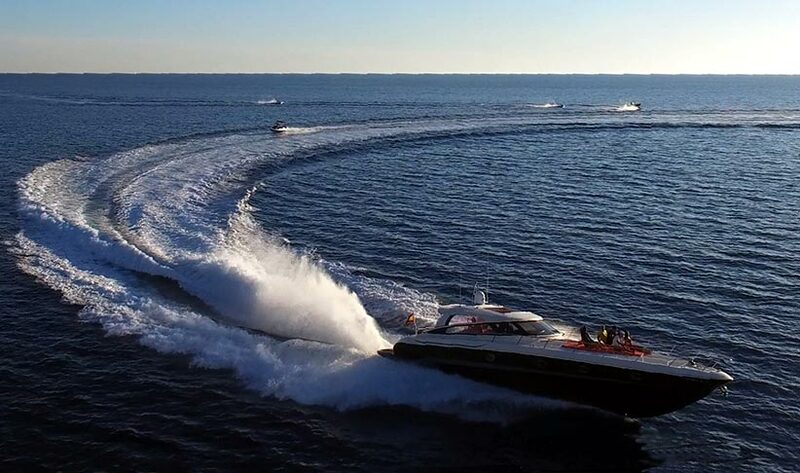 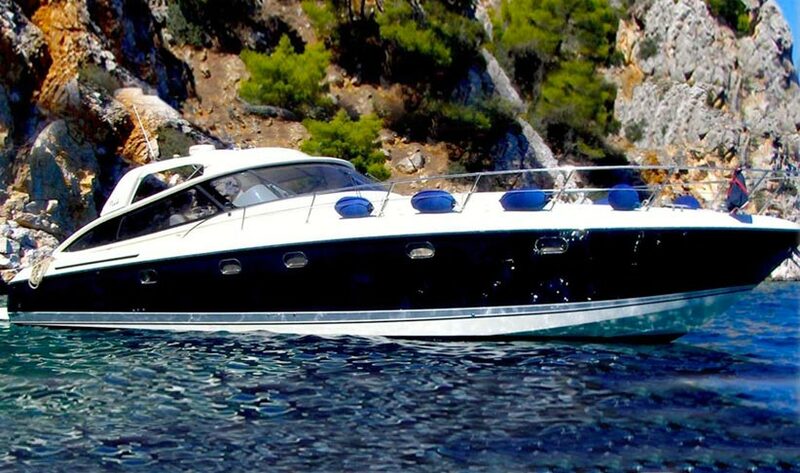 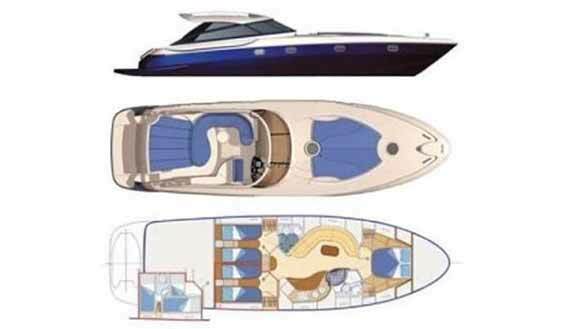 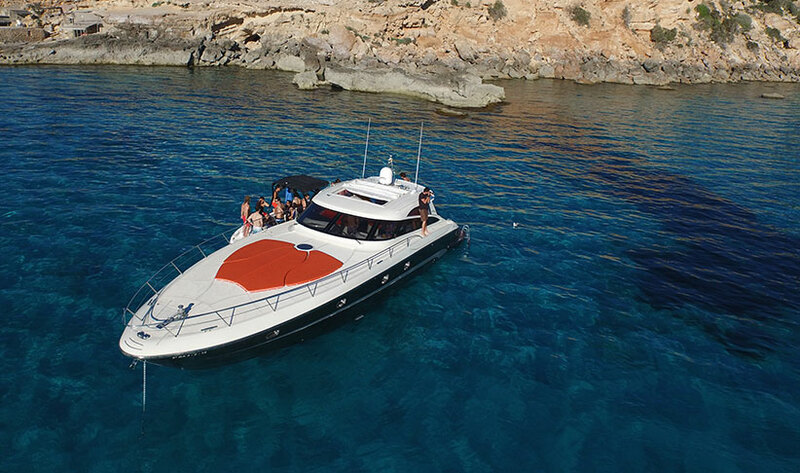 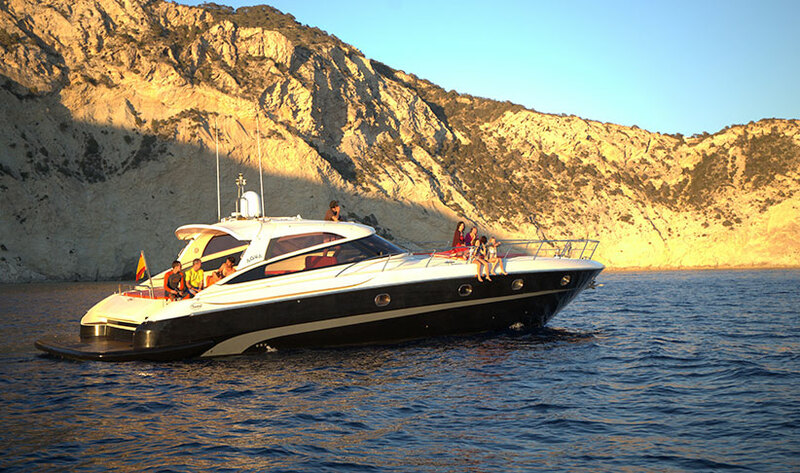 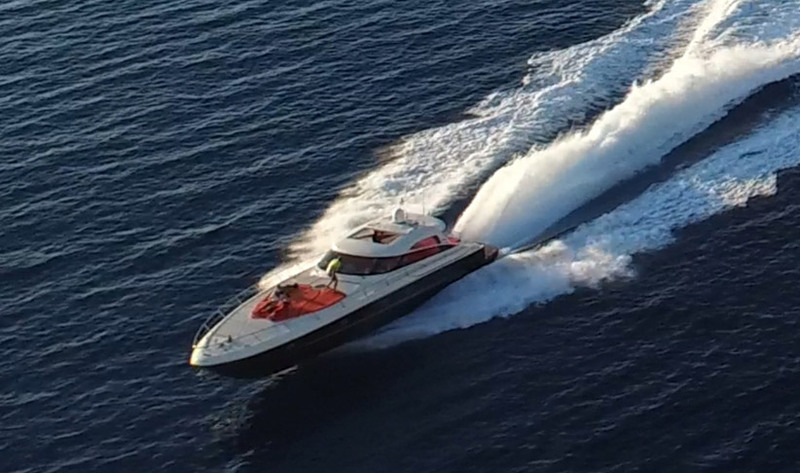 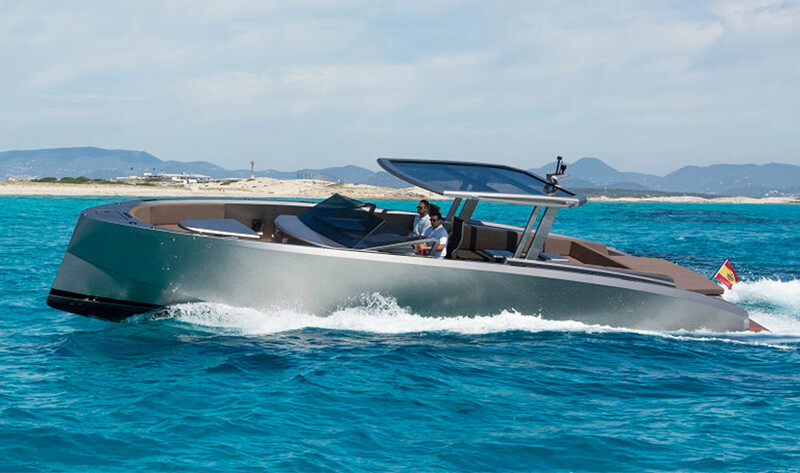 This fabulous Baia 54 speed boat with distinctive orange accents, is a big motorboat for its size. 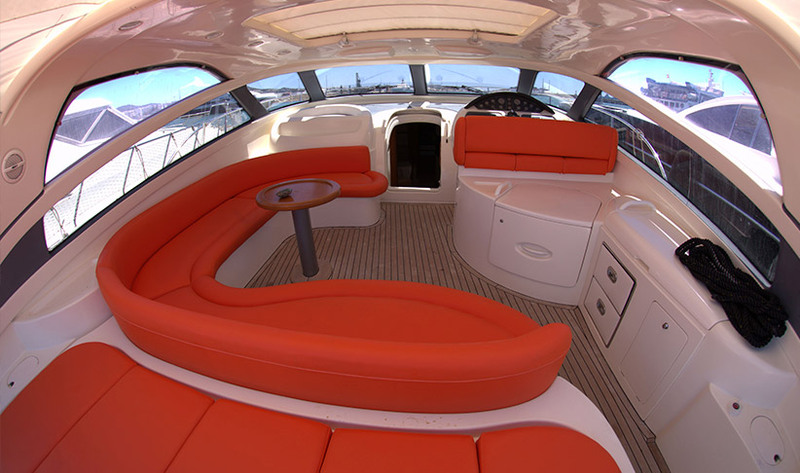 It is geared for performance, without compromising luxury or comfort. 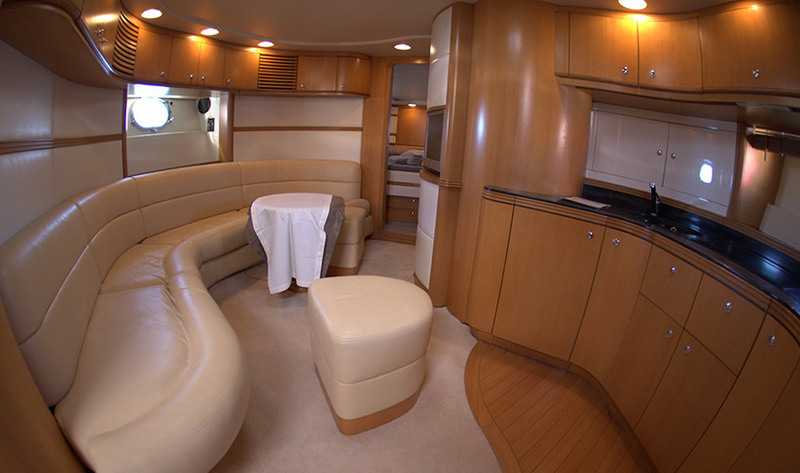 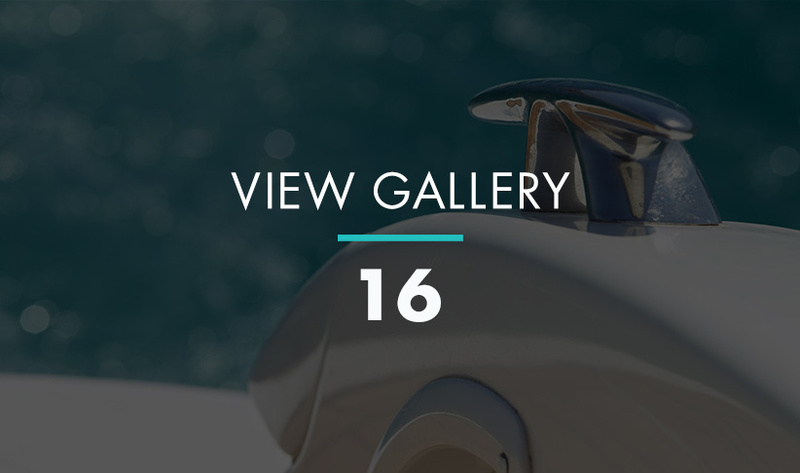 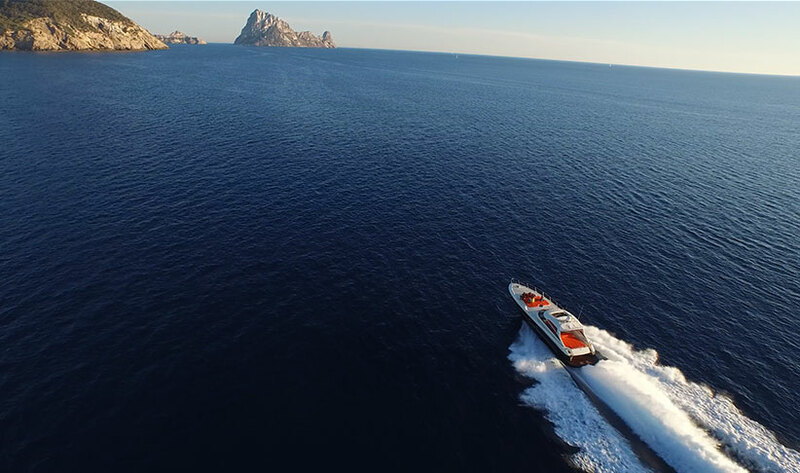 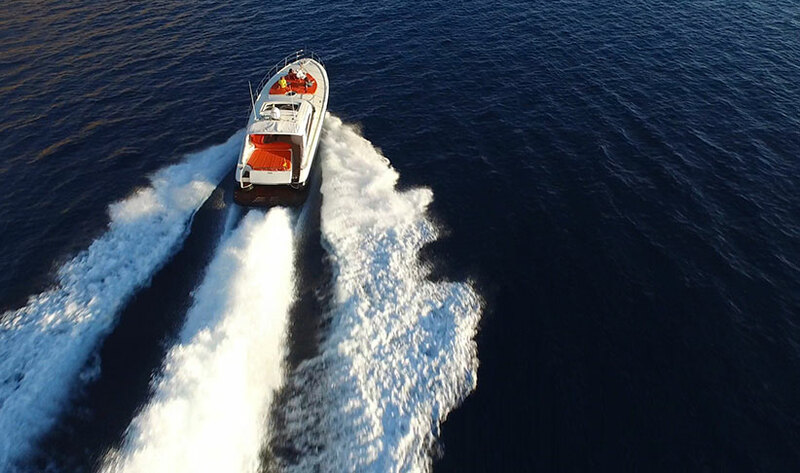 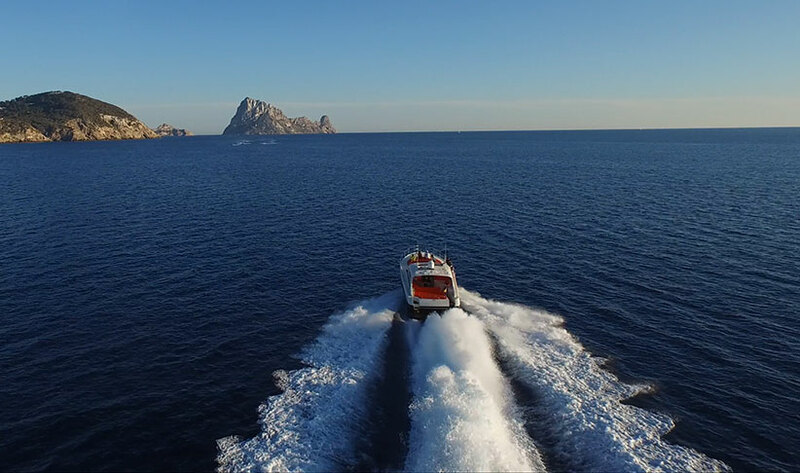 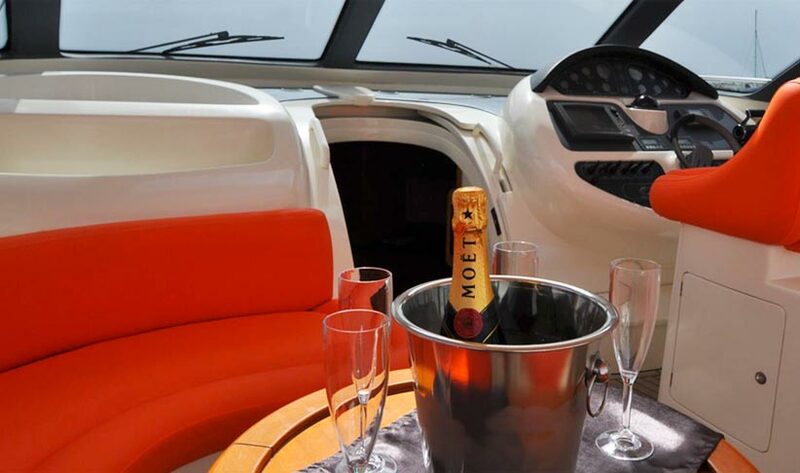 Above board there are a front and rear sunbed areas, and below deck the saloon offers 6’6” headroom and features a soft leather lounge suite which creates an inviting space to chill out, watch TV or enjoy the air conditioning after a day out in the sun. 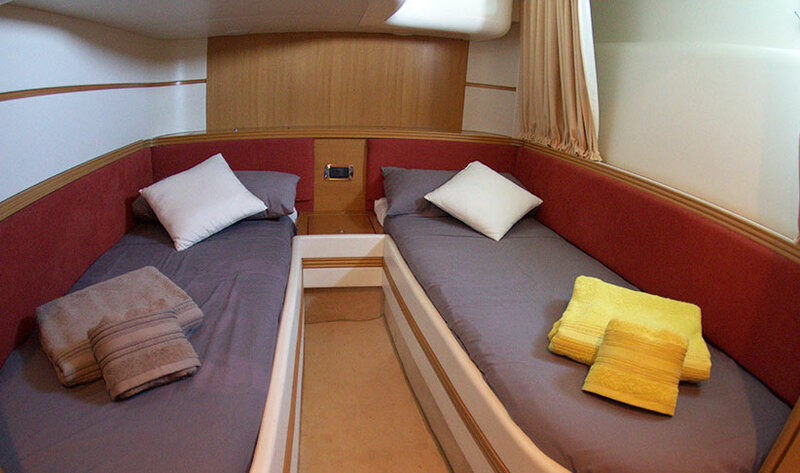 Perfect for up to 11 day guests and 6 sleeping aboard in 3 double cabins, or one double and two twins. 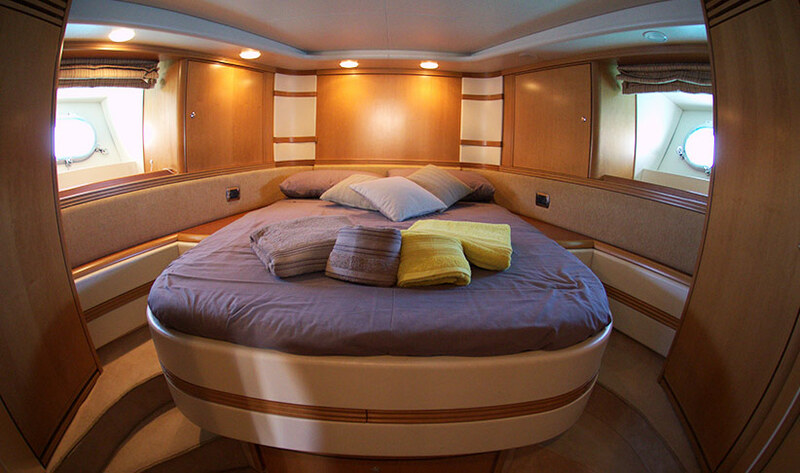 Sleeping at anchor is possible for 4-6 persons, depending on agreement.